Shoppers should note that because of an additional rear brace, the backseat doesn't fold down in the Camry SE as it does in the other models. The 2011 Toyota Camry isn’t at the leading edge in any way, but it remains one of the smartest mid-size sedan picks. The Toyota Camry might be the longtime best-seller among mid-size sedans, but most would argue that it didn't get there with its looks. The Camry got a very minor facelift last year but carries into 2011 mostly unchanged since the current seventh generation's debut in 2007. Inside, too, the design remains a little understated and conservative yet upscale—although somewhat drab materials let the execution down. With those two engines and seven different models in all, ranging from the base (and quite stark) CE model to the sporty SE and luxurious XLE, the 2011 Toyota Camry can satisfy almost any mid-size sedan shopper's need. That said, these combinations are always competent, seldom exciting. 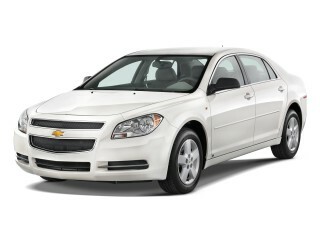 A 268-horsepower, 3.5-liter V-6 remains available. Otherwise, the 2.5-liter four-cylinder makes 169 hp in most models but 179 in the Camry SE. Four-cylinder Camry models come with either a six-speed manual or six-speed automatic transmission, while the V-6 comes only with the automatic. 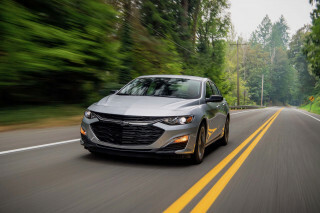 The four-cylinder engine has plenty of power for most types of driving, but the V-6 is the choice for those who often travel with a full load or need strong high-speed passing ability. 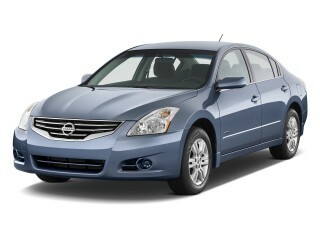 With either engine, the six-speed automatic is quick to react yet smooth-shifting. The auto also features a manual-shift mode, but with the Camry's relaxed driving feel you might as well leave it in Drive. A Camry Hybrid model is also offered; it combines a 147-hp, 2.4-liter Atkinson-cycle four-cylinder engine with an electronically controlled planetary-gear transmission setup and Hybrid Synergy Drive (with an electric motor system) to altogether make 187 hp. Considering the extra weight of the Camry, it delivers performance that's about on par with the four-cylinder Camry models, but with even better fuel economy. The 2011 Toyota Camry has a very roomy interior, with plenty of legroom in back for most adults and enough space for five. 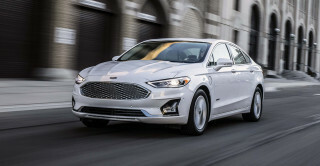 Front seats are wide and soft but lack much support, while rear seats are extremely comfortable and have larger proportions than those in some other mid-size cars; adults will feel comfortable enough for road trips back there. Base and LE Camry models can be optioned with an upgraded audio system with Bluetooth, a USB port, MP3, and streaming music capability. A 440-watt JBL audio system (with Bluetooth technology) is standard on the XLE, as are keyless entry, dual-zone climate control, heated mirrors, and a garage-door opener. A DVD-based navigation system, heated seats, leather upholstery, and a Smart Key entry system with push-button start are all optional on the XLE and SE. But beware, a fully loaded 2011 Camry can top $30k. With look that’s conservative though not dowdy, the 2011 Toyota Camry feels tasteful but fairly anonymous. The Toyota Camry might be the longtime best-seller among mid-size sedans, but most would argue that it didn't get there with its looks. The Camry got a very minor facelift last year but carries into 2011 mostly unchanged since the current seventh generation's debut in 2007. The Camry now stands as one of the most conservative-looking sedan profiles, but Toyota made an effort last year, giving it a slightly dressed-up look with a new grille, front bumper, and restyled tail lamps. Wheels were upgraded, too. Inside, the design remains a little understated and conservative yet upscale—although somewhat drab materials let the execution down. 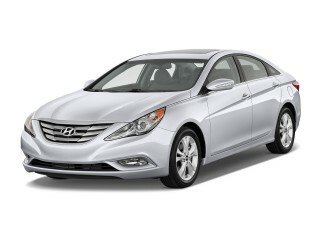 The Camry’s plain-vanilla performance characteristics are a perfect match for its largely forgettable styling elements. The only real disparity between looks and performance comes in the SE model, which gets sporty trim pieces but fails to deliver on the road. 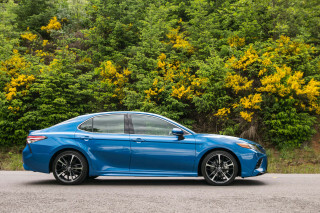 Last year, a new base four-cylinder engine brought slightly improved fuel economy and performance to the affordable end of the Camry lineup. Throughout the lineup (except the SE), don't expect sporty handling. Most Camry models have a rather soft ride, though the SE grade gets stiffer suspension settings and other performance improvements. Although the 2011 Camry can be disappointing in the details, it’s clear that Toyota put the priority on comfort. Toyota has done a great job with storage cubbies and bins as well, with plenty of space for small electronics, but cargo space is arguably a step behind that of some rivals, due to a relatively small capacity and hinges that can crush what's inside. The Camry's rather soft ride—very absorbent but not bouncy—also enhances comfort, as does its lack of wind noise as well as road noise on all but the coarsest surfaces. Controls are intuitive, not needlessly complex. 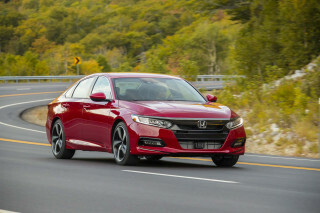 The only issue remains materials that seem unimpressive, especially at the top of the model range, where prices can exceed $35,000 for a loaded XLE V-6; that, and editors have seen several models of this current-generation Camry with lackluster build quality and odd fit and finish. The 2011 Toyota Camry has all the safety features mid-size sedan shoppers will seek, but its crash-test ratings are now just decent. The 2011 Toyota Camry family no longer has especially strong safety ratings; it's now surpassed by a number of other models. The Toyota Camry and Camry Hybrid get just three stars overall from the federal government, with three-star ratings in both frontal and side crash categories. In the new side pole test, which doesn't yet figure into the Camry's overall rating, the 2011 Camry achieved just two stars. In Insurance Institute for Highway Safety (IIHS) testing, the 2011 Camry achieves top 'good' ratings in frontal and side tests, as well as in the new roof strength test; 'marginal' results in the agency's seat-based rear-impact test keep the Camry from being a Top Safety Pick, however. That said, the Camry does come with a very impressive set of safety features, including electronic stability control, anti-lock brakes, side-curtain airbags, and a driver-side knee airbag. Relative to many rival models, the Camry has excellent visibility, with Drivers of the refreshed 2010 Toyota Camry will likely notice that the modest styling changes made to the Camry increase driver visibility, which was already pretty good. Left Lane News declares that the Toyota Camry affords "great visibility," while ConsumerGuide notes that "styling slightly impedes visibility aft and to the right-rear, but sightlines are clear elsewhere." With a wide range of trim levels and base prices, the 2011 Toyota Camry should, from a value standpoint, appeal to many mid-size sedan shoppers. With those two engines and a seven different models in all, ranging from the base (and quite stark) CE model to the sporty SE and luxurious XLE, the Camry can satisfy almost any mid-size sedan shopper's need. Most Camry models have a rather soft ride, though the SE grade gets stiffer suspension settings and other performance improvements. Throughout the lineup (except the SE), don't expect sporty handling. The base 2011 Toyota Camry includes air conditioning, power windows and locks, and a CD sound system—enough to please the most frugal buyers, especially considering the sticker price is around $20,000. Base and LE Camry models can be optioned with an upgraded audio system with Bluetooth, a USB port, MP3, and streaming music capability. A 440-watt JBL audio system (with Bluetooth technology) is standard on the XLE, as are keyless entry, dual-zone climate control, heated mirrors, and a garage-door opener. A DVD-based navigation system, heated seats, leather upholstery, and a Smart Key entry system with push-button start are all optional on the XLE and SE. The 2011 Toyota Camry delivers on its value proposition, at least in the lower trim levels. 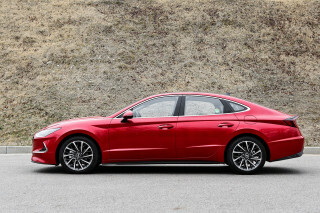 But a fully loaded Camry can run well into the $30,000 range, where it seems out of place compared to some of the other vehicles in that price category. The 2011 Toyota Camry is lean and green, especially if you choose the four-cylinder or Camry Hybrid. At 22 mpg city, 33 highway with the manual and 22/32 mpg with the automatic, the base four-cylinder engine in the 2011 Toyota Camry is fuel-efficient but certainly not the most frugal in its class; the same can be said of V-6 models, at 20/29. With its rating of 31 mpg city, 35 highway, the Camry Hybrid is significantly greener (and we give it an 8). 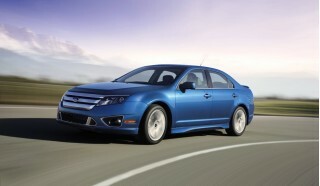 Although the Ford Fusion Hybrid, at 41/36, is in the lead among mid-size sedans. I bought brand new and put 126000 plus miles on this amazing car. Problems ZERO! Recommend to all !!! Awesome vehicle. Great in gas and little maintenance required! Best car ever owned since 1971. Lots of room and comfortable.